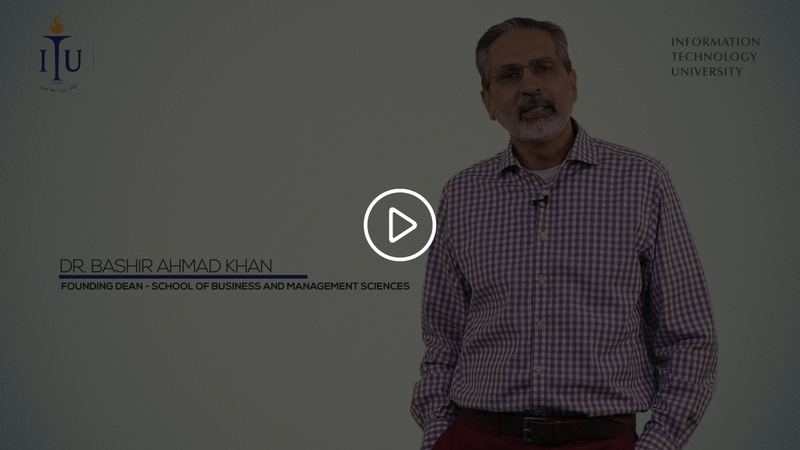 The BS M&T is a unique new Program aimed at providing technology-oriented and management skills to business graduates. It is a 4-year degree recognized by the HEC. The Program has a highly innovative design relying on a combination of management and technical courses which provide all the skills, tools, and knowledge base, for graduates to innovative and develop the entrepreneurial confidence to create value in the economy through new businesses as well as improving the performance of existing businesses. Students are exposed to the latest thinking, interaction with entrepreneurs and managers, experience through internships, as well as the rigor of an extended project. It also benefits from a world class faculty, all of whom have experience from the corporate world. 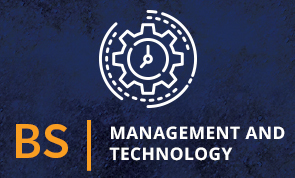 These objectives reflect the Program’s emphasis on the management of technology and the application of technology to management. Candidates accepted into the program will work both individually and also encouraged to work in teams especially to develop ideas from conceptual to practical levels. Since students will be exposed to cases and other pedagogical tools, as well as interact regularly with the corporate sector, graduates are expected to be absorbed in the value-addition sectors of Pakistan, including technology, food and beverages, transportation, telecom, automotive, and the health sectors. They will also be able to engage in start-up businesses. Applicants who have completed 12 years of education, or will do so by August/September. Note: Per HEC rules, candidates who have completed 12 years of education and obtained degrees other than Matriculation (SSC) or Intermediate (HSSC) are required to obtain an equivalence certificate from the Inter Board Committee of Chairman (IBCC), Islamabad. 2% deduction from Academic Marks for each late session for up to 5 late sessions. Applicants can take the ITU Admissions Test OR submit their SAT scores for admission to ITU. 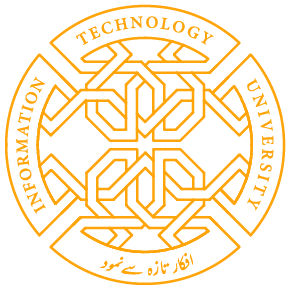 The ITU Admissions Test will be held at the ITU campus an Arfa Software Technology Park in Lahore. The test will be 2-hours long and will comprise mostly of Multiple-Choice Questions. For information about dates please click here. Applicants who have taken the SAT (through ETS USA) during the last two years, may be exempted from the ITU Admissions Test. SAT scores must be reported to ITU officially from the testing agency. The college code for reporting SAT scores to ITU is 7537. Please refer to the Collegeboard website for details about the SAT test and score report delivery. For information about dates please click here. Note: If the fee exceeds Rs. 200,000 per annum, 5% Income Tax will be added u/s 236I of the Income Tax Ordinance, 2001.